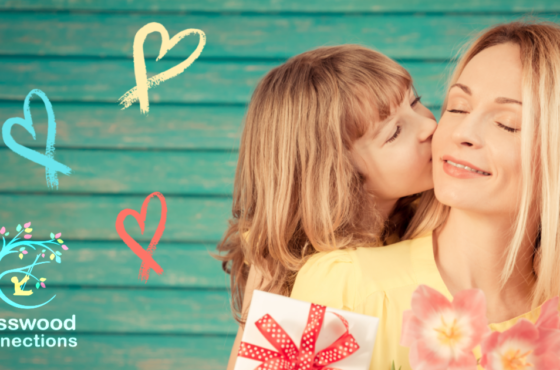 Home / Crafts, Educational, Homeschooling, Art Projects, Vocabulary / Vocabulary Rocks! Rock painting can be addictive. We have enjoyed decorating rocks for years and years. 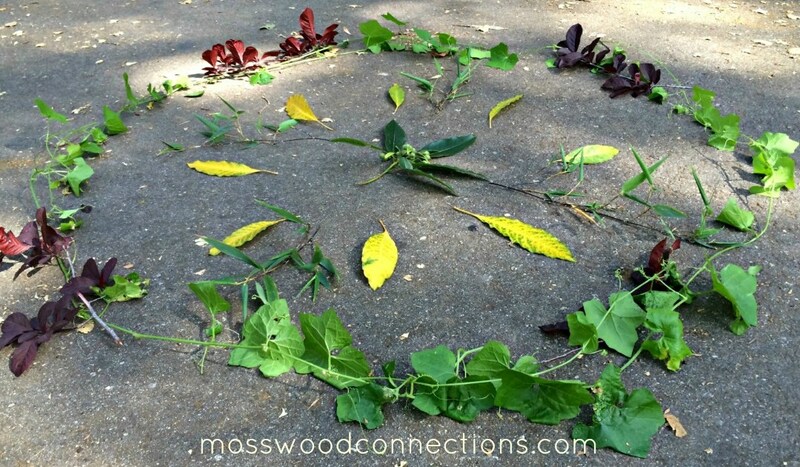 This simple art project will keep the younger set busy creating their rock treasures and the painted rocks have so many uses! 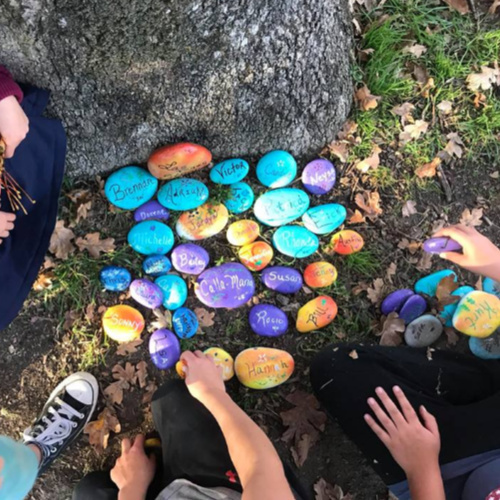 From a simple art project for kids to beautiful gifts, the way you use your painted rocks is up to you. 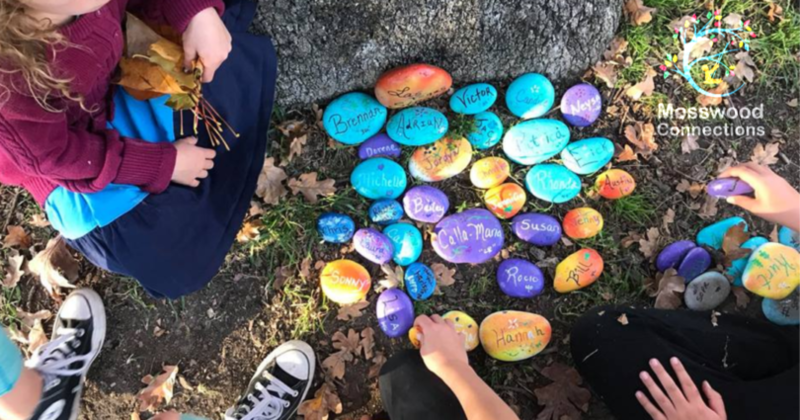 People have turned the painted rock craze into community scavenger hunts. You can make your own DIY Painted Rock Games or turn them into story stones. 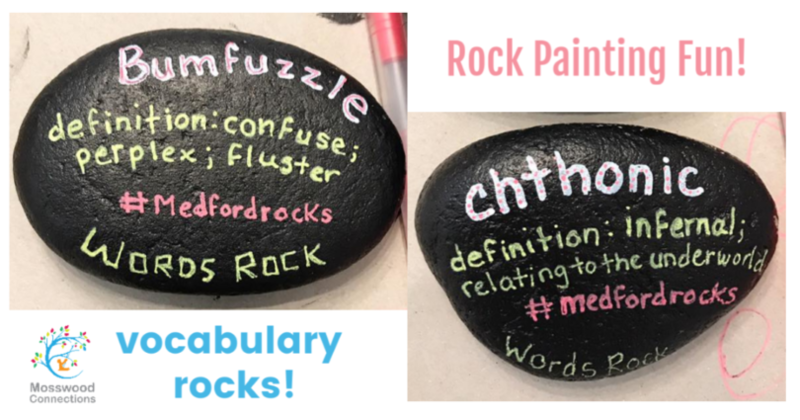 We were hanging out with the kids talking about silly vocabulary words when we got the idea to make vocabulary rocks. It was one of the best activities that I have done with my son. 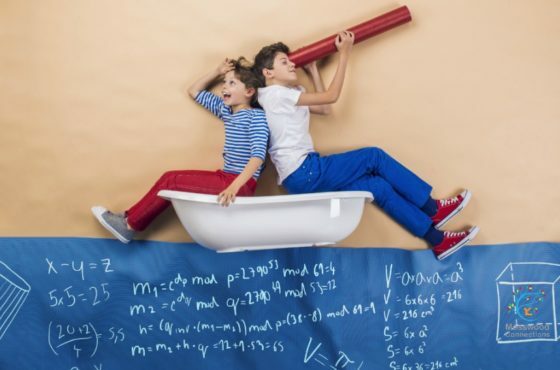 He and his friends had so much fun discovering new vocabulary words that tickled their sense of humor that they really didn't think they were actually learning. 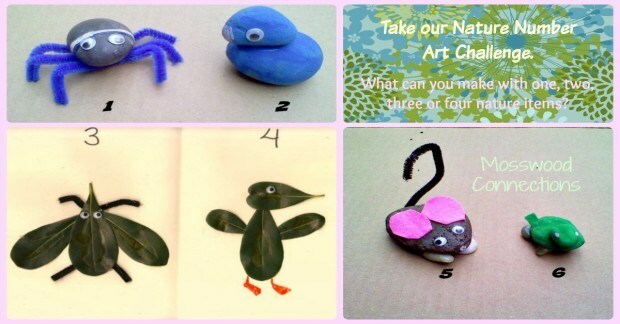 There are so many ways to play with this rock painting idea, your kids will love it, too! Rocks for Painting - Very Smooth Surface - Easy to Paint - Ranging from 3.0 to 4.5 inches; you can also buy the rocks from a landscaping store or collect them while you are out and about. Acrylic Paint if you want a base coat on your rocks. You can give your rocks a base coat if you want but you don't have to. It really just depends on your preference. I usually just give them a good scrub under water, allow them time to dry, and then paint! If you decide to give them a base coat be sure that the base coat is dry before adding the decorations and vocabulary words. Once the rocks are dry use the acrylic paint pens to draw and write whatever you want on your rocks. If you want to put a sealer on the rocks once you are done it will help the rocks last longer. 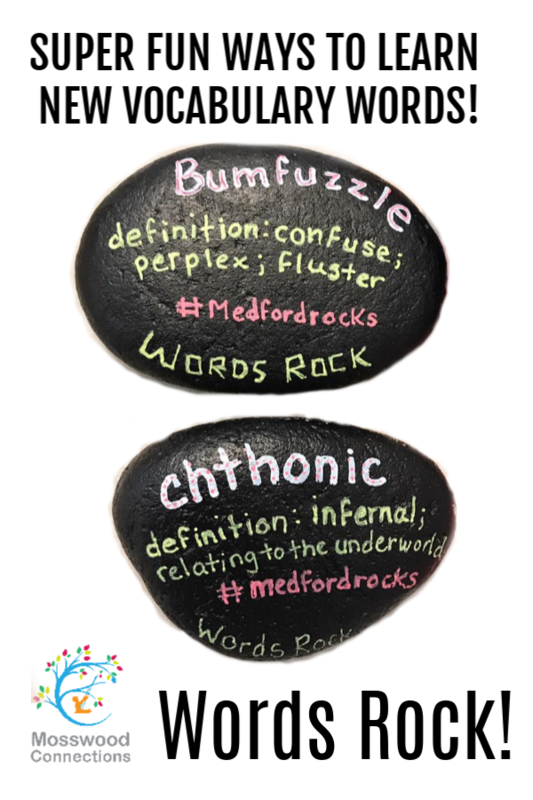 Follow the instructions below to make our Vocabulary Rocks and the different ways to play with them. 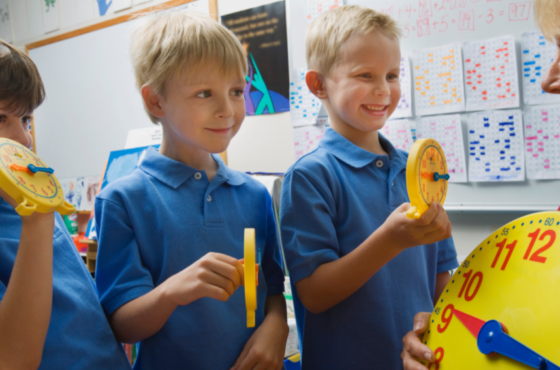 We always like to include different opportunities to learn so we came up with a few activities for the kids. Have the kids write their vocabulary word on one rock and the definition on the other. 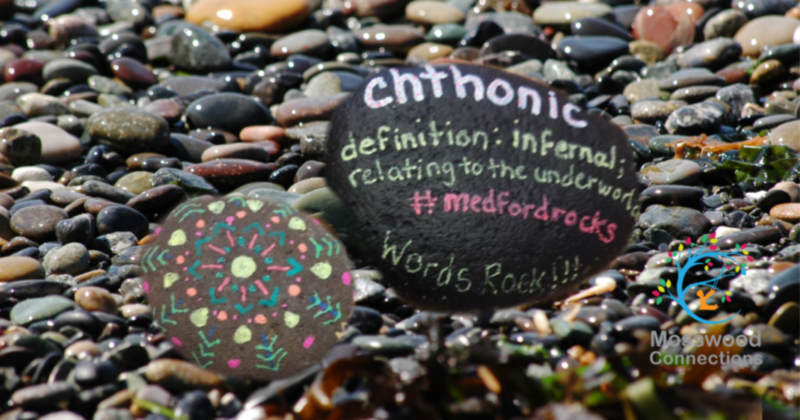 Mix up the rocks and have them match the word to the correct definition. Write the vocabulary words on the rock, then have the children guess the definition. If they guess correctly, they win the rock. Write the vocabulary word on one side of the rock and the definition on the other side. Then play "Truth or Lie". One person is the "truth detector". The other players get a turn to give a definition for the word. Only one player can give the correct definition. I have the "truth detector" close their eyes while I show the definition to one player. If the "truth detector" correctly guesses who gave the true definition they get a point. 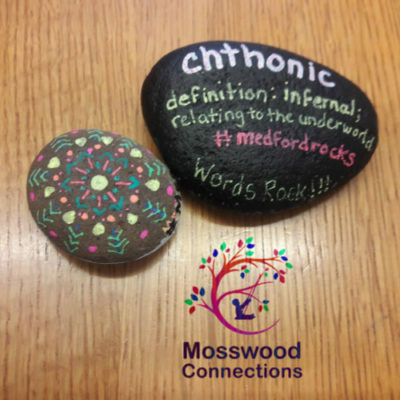 Have the kids use their vocabulary rock word in a sentence. Hide the rocks and go on a treasure hunt. Put the rocks around your community. We hid ours by the public library. 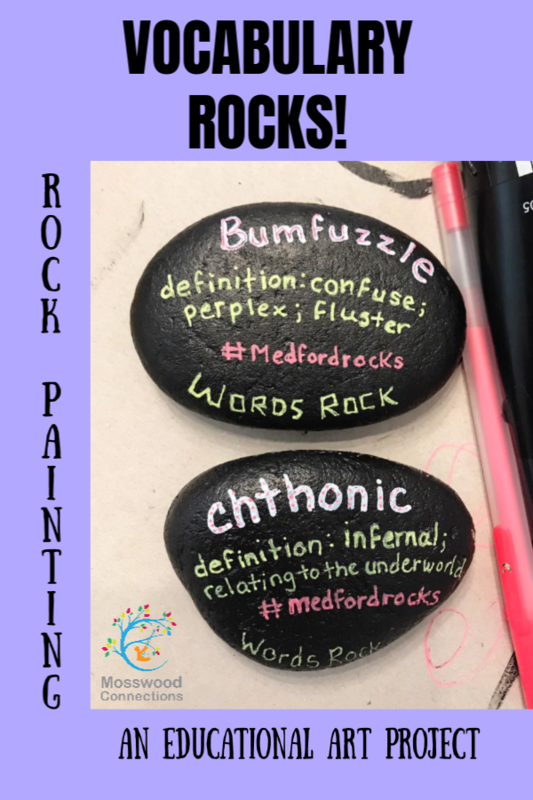 Have the children paint complimentary vocabulary words on the rocks and then give that rock to a friend. Paint the alphabet on a bunch of rocks. Repeat the most common letters. (The letters “e, t, a, o, i, n, s, r, h, l, d, c”, are found in around 80% of the words in the English language.) Have the children see who can make the longest or strangest or silliest vocabulary word with the alphabet stones. We included on our list below a Harry Potter Glossary. Wouldn't painting wizardry words be fun for a Harry Potter themed party? You can have the students research and find their own words or you can use one of the lists below. Vocabulary words for second through fifth grade can be found here.